Vintage Chablis Cooking Wine, 12.7 Ounce -- 6 per case. Reese Vintage Cooking Wines offer a convenient way to add a special touch to a wide variety of dishes. Like all fine wines, Reese Vintage Cooking Wines are aged in wooden casks to develop their flavor to the fullest. Our Vintage Cooking Wines are also Kosher certified. Consumers want high quality products, and they recognize that Kosher certification means a better product that has gone through stringent inspection. 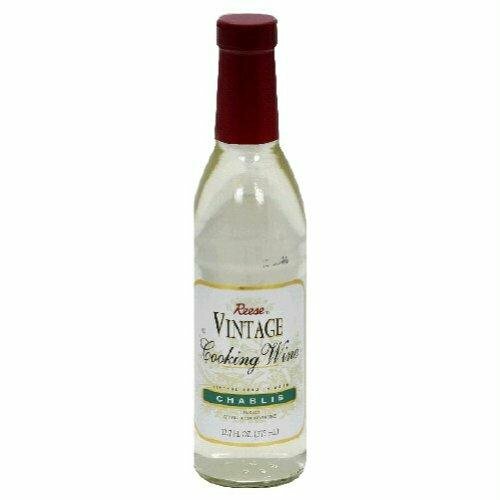 Reese Vintage Cooking Wines add richness and depth to sauces, stews, casseroles and soups. Reese Sauterne, White or Chablis Cooking Wine will add a subtle flavor to poaching liquid for fish or chicken. Use Reese Red and Burgundy Cooking Wines as marinades for red meats. Reese Sherry and Marsala Cooking Wines complement any dish, especially veal and lamb.